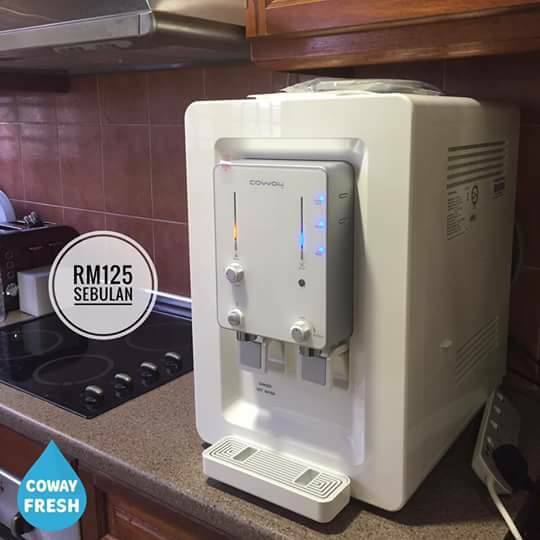 Pernah tak anda rasa stress bila sedang menjahit dan sukar untuk memasukkan benang ke jarum mesin jahit? Atau rasa risau sebab tak dapat nak baca instruction pada botol ubat tentang penggunaan dan kandungan ubat yang anda makan? Boleh Guna Big Vision sebab selepas dipakai dunia jadi berubah. Semuanya nampak besar dan begitu jelas sekali. Memang sangat membantu Big Vision ni. Sayapun guna !! Whatsapp Noora 013-2191301 untuk maklumat lanjut. These handy eyeglasses make everything clearer and brighter with its robust glasses and allow 160% magnification of an object. 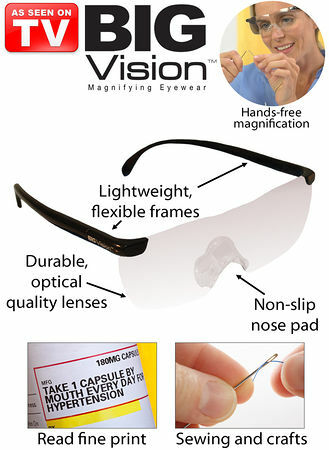 The As Seen on TV Big Vision is a pair of magnifying glasses which help you to thread needles, replace delicate watch batteries and other pesky tasks easily. As Seen on TV, these handy eyeglasses make everything clearer and brighter with its robust glasses and allow 160% magnification of an object. So, you can use them on the most intricate projects where you work with Micro/Nano size particles. With the Big Vision glasses, inspecting and removing smallest size splinters seem effortless and easy. The glasses are lightweight and wearable over prescription glasses, contacts or sunglasses. You don’t need any eye exam or prescription for the permission to wear it. -Big Vision eyeglasses enlarge objects by 160%. -They don’t need any eye exam or prescription before wearing. -They are flexible, lightweight and have Unisex frames. -The glasses are wearable over prescription glasses, contacts, and even sunglasses. Whatsapp/Contact Noora 013-2191301. Free Postage ! !